Yesterday, I fell asleep to the memory of the night we ate pizza in Jerusalem. I don’t know if it was because I just finished Shauna Niequist’s book Bread & Wine, where she reminds us that life, deep-rich-meaningful-life, happens around a table or because I was watching Anthony Bourdain’s show Parts Unknown, where he travels all around the world to eat food in exotic places; whatever it was, I had pizza and I had Jerusalem on my mind. 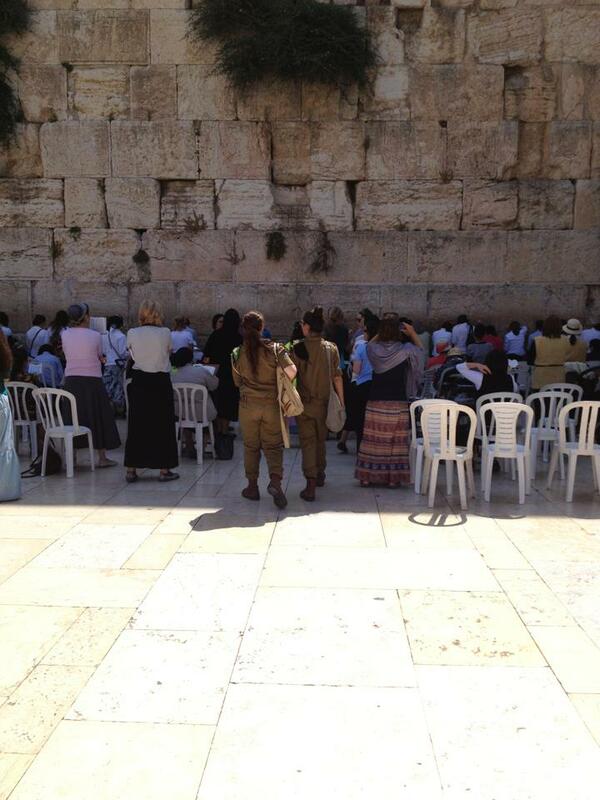 We had been in Israel for eight days and by this point, we were stretched physically and mentally . . . sometimes hiking 10 miles a day, in the wretched heat. We were learning about these incredible sites where the fathers our faith walked, we were standing where Jesus stood, walking where he walked, and learning where he taught. But nothing, nothing, compared to standing in Jerusalem. The City of the King, the place where the Temple was built and destroyed, where the last parts of the Western Wall remained. The place where a city is divided between Jewish quarter, Christian quarter, and Muslim quarter. The place where Christ will come again. Really, the most extraordinary place on Earth. Full of history and prophecy, riches and poverty, love and hate. 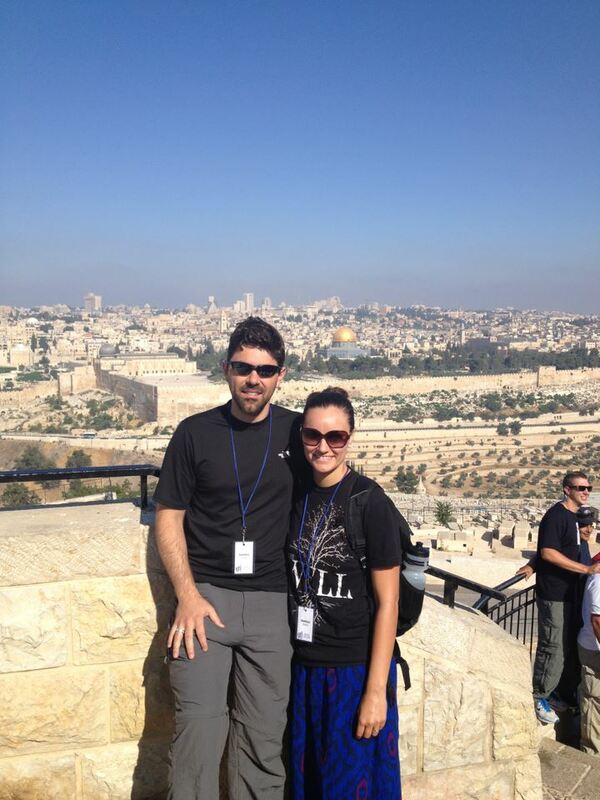 We not only wanted to learn our bibles on this trip, we wanted to learn the culture. What does Jerusalem, this extraordinary city, look like during the day? At night? 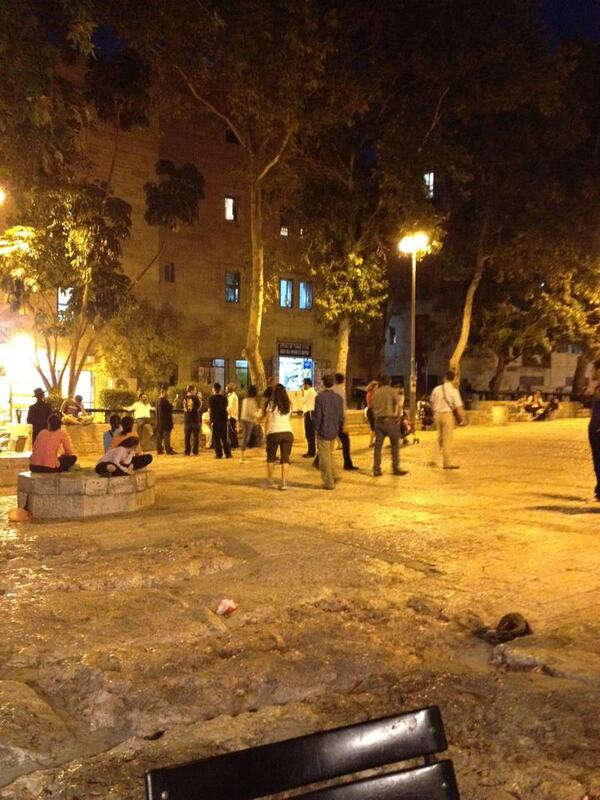 So we set out to do what our guides warned us about, we ventured into the city of Jerusalem at night. To share a meal with friends from our trip. 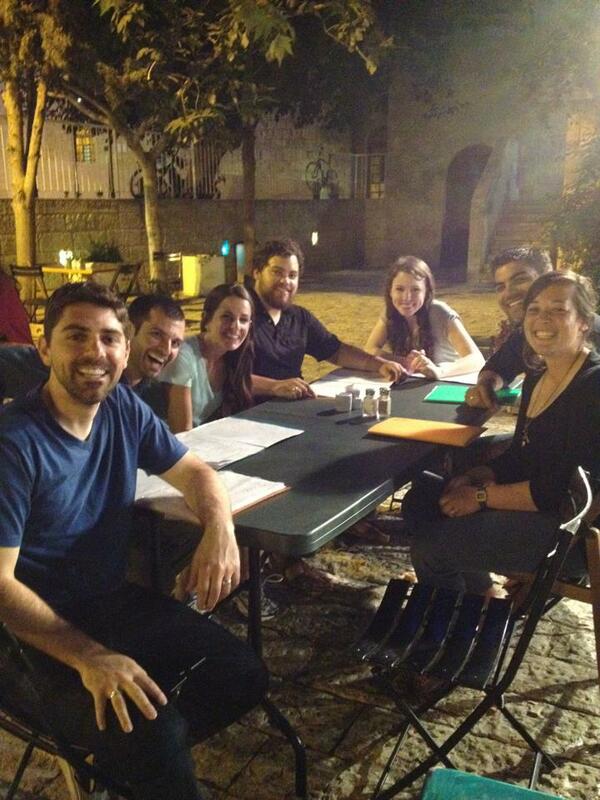 We found ourselves in the Jewish quarter, next to a synagogue and all kinds of shops, and sat down at a restaurant. Everyone ordered drinks and dinner, and then in the most extraordinary place, we did the ordinary . . . It felt so ordinary. Just sitting in Jerusalem, eating pizza. Until I realized just hours before we were literally standing on the Temple Mount, touching the Western Wall, the closest place to the Holy of Holies, praying side-by-side with devout Jews. We were in a sacred place. A holy place. Perhaps the most meaningful place for the future of Christians. And I was eating pizza, watching people dance around at a bar mitzvah. 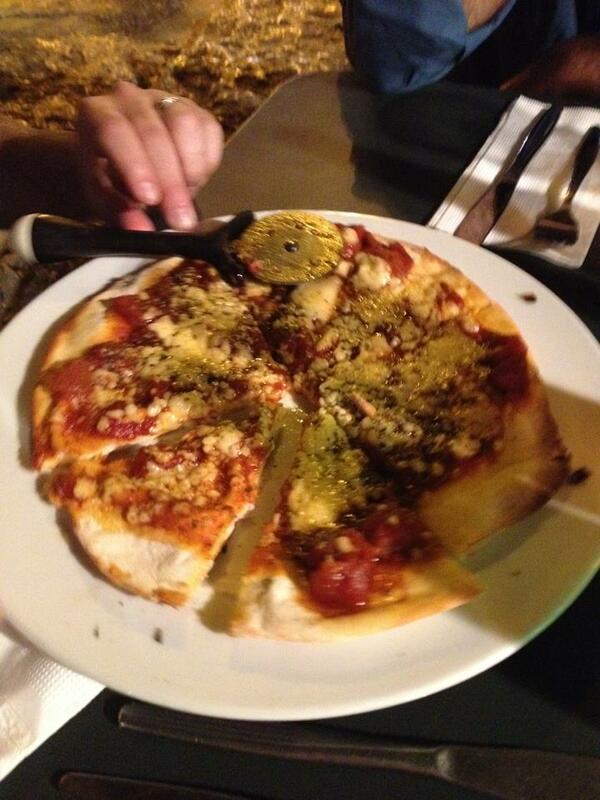 The most ordinary, eating pizza, in the extraordinary, the heart of Jerusalem near the Holy of Holies. I wondered if this was much like Jesus life? In the morning healing the sick, casting out demons, teaching the multitudes, then at night, heading over to Mary and Martha’s for dinner. Just an ordinary dinner with friends, where he’d laugh, pray, eat good food, talk about scripture . . . Were there parts of Jesus life that were just ordinary? Were his days a blend of the extraordinary & ordinary? Was this God-Man marked with a mix of his humanity and deity? Secular & sacred? Simple & divine? As I reflect on this past year and think about my hopes for 2014, I want my life to be marked by the ordinary and extraordinary. I want to spend my days pouring out all that I have, using my gifts to further the Kingdom, loving people in the name of Jesus, and then have dinner with my neighbors, good conversation with my husband, laugh with my friends. I want to find beauty in the simple. I want to redeem the ordinary. Because really that’s when the ordinary can feel extraordinary. The simple life can be spectacular when you realize all is sacred. I want my life to be marked like that. That is my hope for 2014. To blur the lines between ordinary and extraordinary, secular and sacred, just a little bit more. I want to invite friends over for long meals. I want to experience real community and fellowship. I want to give more of my time, talent, and treasure. I want to talk about scripture, and bear one another’s burdens, and pray for the sick and care for the poor, and I want to eat pizza with my friends, and laugh. No big resolutions for 2014 just hopes that my year, my life, would be marked with simple, extraordinary, ordinary joy.